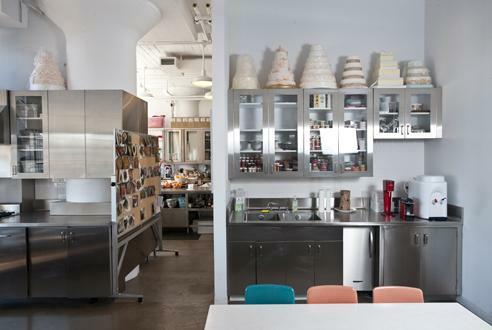 In March, 2010, I had the joy of attending a Martha Stewart event at the Starrett Lehigh building in Manhattan where the Omnimedia offices are located on the ninth floor. It is such an impressive space, filled with light and an industrial elegance (lots of white, lots of glass) that adds a lovely sense of calm to the environment. Sarah Bruning, a writer for Time Out New York, contacted me today to let me know she recently spoke with some of the editors at Martha Stewart Living for a story she did about what it's like to work at Omnimedia. The story is accompanied by wonderful photographs by Caroline Voagen Nelson, some of which are displayed below with Sarah's permission. I was flattered to learn that Sarah is a follower of this blog and I truly appreciate her reaching out to me - and you, readers! - to share her story and these photos with us. You can read the full story here and view a lot more photographs by Caroline. 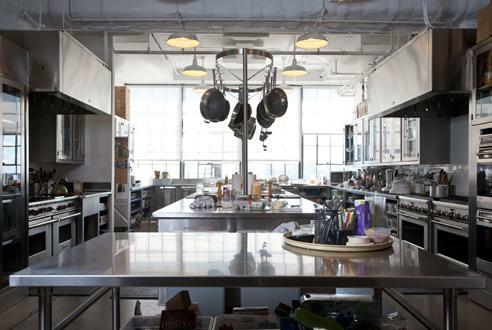 Another perspective on the test kitchens. I love the vintage melamine chairs in pink and aqua. This is the office of Gael Towey, the chief creative director for the company. The walls are covered with storyboard templates and inspiration photos. Darcy Miller, the editor of Weddings, sits happily at her desk. This is a corner of Fritz Karch's office. He is the collecting editor. I love Kevin Sharkey's office with all of its colour-blocked bookshelves! Kevin is the magazine's decorating editor. Anna Last always looks so happy. 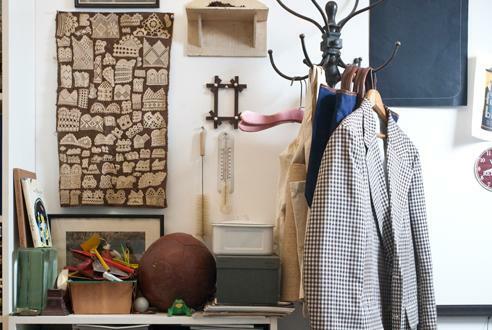 I'm hopping over now to read the story - great photos - I would love it if they showed more of the offices - the Home Design blog does a feature once a month, but I want more! Gael's office looks wonderful. Ohhh, I so much love this post!